THE WRITING BUDDHA - Opinions | Books | Movies: Life Know-How by Viswanatha Reddy Thalakola (Book Review- 3.25*/5) !!! 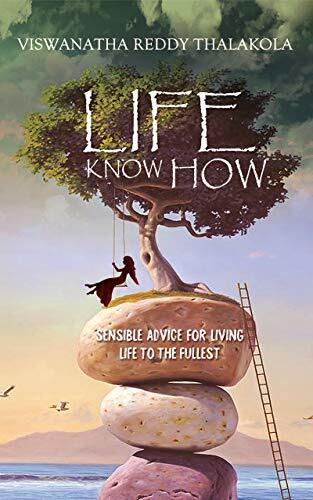 Life Know-How by Viswanatha Reddy Thalakola (Book Review- 3.25*/5) !!! The genre that is my most favorite is self-help after auto-biographies. And whenever I get a chance to read any such book, I ensure that I get my hands upon them. But the latest one that I have read was in the format of e-book; the name of the book is “Life Know-How”. The book also has the tagline which says, “A Quick Guide with Straight to the Point Advice to Deal with Life Issues and Live an Empowered Life”. The book is just of 89 pages written by the author, Viswanatha Reddy Thalakola, and can be finished in just one sitting. I managed to complete in during my office traveling in Mumbai locals within 1.5 hours. This book is a perfect companion if you are traveling or sitting alone in your office without any work. The author has written this book very intellectually with nicely editing the contents and being specific to the points that he wants to share with the readers to deal with certain issues that he has chosen to talk about in his debut work. The book consists of 34 chapters where each of them speaks about one unique issue divided into different categorizations such as “solving your problems”, “managing interpersonal relations”, “dealing with work”, “coping with negative things”, fulfilling your aspirations” and “handling other important matters”. I liked the various topics on which the author has spoken in this book. Under each chapter, there are many bulleted points which tells about the kind of research the author has gone through to have such refined solutions for each problem that we face in our day to day life. This book is written as quick guide as referred in the tagline too but talking about the drawbacks, I missed the detailed solution for few points where author could have given real life examples or case studies too. Except this, there is nothing that I felt as missing in this book considering it as a quick guide that can be referred at any time. I rate this book 3.25* out of 5 and wish to see author writing a detailed self-help book too.